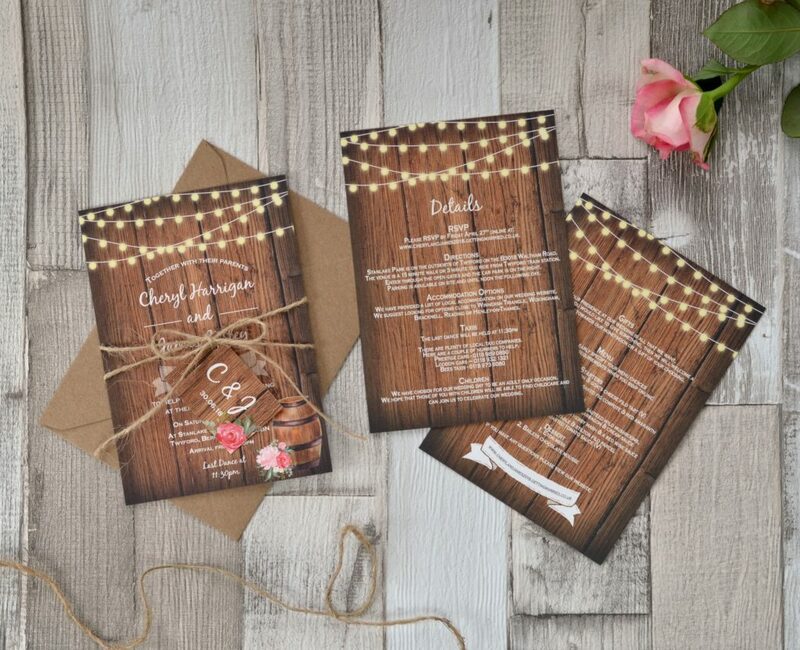 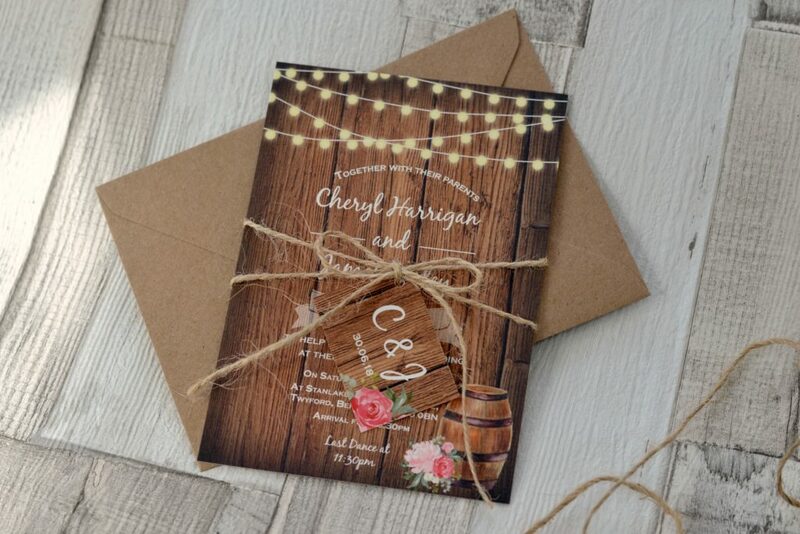 Cheryl and James got married at the beautiful Stanlake Park Barn this year and wanted invitations that matched the venue and decor they had chosen. 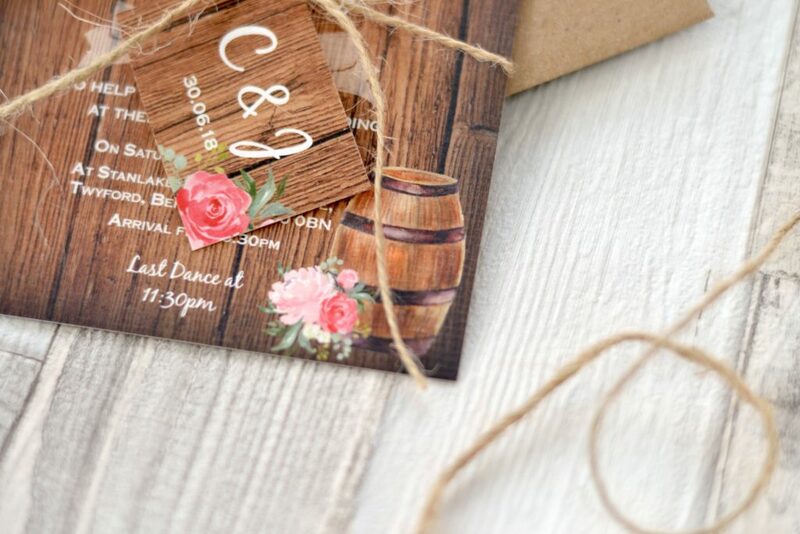 We paired a wood effect background with fairylights along with a handpainted wine barrel and pink floral details. Each invite was double sided, with printed guest names and finished with twine, a tag and a kraft envelope.